Golden visa is the buzzword these days in the context of citizenship and permanent residency. Citizenship is typically associated with the country an individual is born in. However, this is not necessarily always the case. There are many reasons why an individual may choose to change his or her citizenship or get dual citizenship i.e. the citizenship of two countries. Some may find better jobs in another country. Others may look at dual citizenship to lower the amount of taxes they pay. For high-net-worth individuals, the Golden visa program is one of the best ways to get permanent residency and citizenship in a country other than the one they were born in. What is A Golden Visa Program? This is a visa program that allows individuals to apply for permanent residency by making a significant investment in the economy of the country. This investment may be made in form of cash, government bonds, property etc. Thus, for the country, this program is a great way to boost the economy and create jobs for its citizens. The investor and his or her immediate family can get permanent residency through this program. After a few years, the applicant can apply for citizenship as well. In most cases, the applicant need not stay in the country permanently to maintain his residency status. However, they may come and in and out of the country whenever they would like to. Getting permanent resident status in a country other than the one the applicant was born in can also make travel to other countries easier. For example, getting permanent resident status in Portugal allows the applicant to travel throughout the Schengen area without a visa. Last but not least, it also offers a number of taxation benefits. Investing a minimum of EUR 350,000 in a new medium or large scale Belgium company is the basic eligibility criteria for the golden visa program in Belgium. Investing in property does not make the applicant eligible for this program. The applicant does not need to have any business experience or pass a language test. Also, he or she does not need to maintain a minimum physical presence in Belgium to maintain the residency permit. Processing the application can take 3-4 months and citizenship may be applied for after 5 years as long as the conditions for citizenship have been fulfilled. To apply for the Golden Visa in Latvia, the applicant may make a minimum investment of EUR 80,000 in a Latvia company, deposit EUR 300,000 in government bonds or invest in property worth a minimum of EUR 275,000. In terms of residency provided by investing property, Latvia offers the cheapest Golden Visa program. This visa is valid for 5 years but can be extended. After 10 years, it may be converted to citizenship. A minimum investment of £2 million is needed for the United Kingdom’s Golden Visa Program. This must be made in the form of government bond, loan capital or shares. Investing in property in the UK does not make an individual eligible for this program. A residency permit granted through this program is valid for three years and can be extended for another 2 years. After 5 years, the applicant may apply for indefinite leave to remain or ILR status. After 6 years, he or she may apply for British citizenship. This process can be speeded up depending on the investment amount. Increasing the investment amount to £5 million and £10 million allows the applicant to apply for ILR after 3 years and 2 years respectively. An investment may be made in three ways for Portugal’s Golden Visa Program. Firstly, the individual may acquire new property worth a minimum of EUR 500,000 or property that is older than 30 years and worth a minimum of EUR 350,000. Secondly, he or she may invest in a company and create a minimum of 10 full-time jobs for Portuguese citizens. There is no minimum investment to be made in such cases. Thirdly, the applicant may transfer funds to Portugal. The minimum amount to be transferred depends on the way the investor would like the money used. This permit is valid for 1 year and must be renewed after three years. To maintain it, the applicant must spend a minimum of 7 days in Portugal. A permanent resident visa may be applied for after 5 years and citizenship may be applied for after 6 years. The Malta golden visa program requires a minimum investment of EUR 275,000 in the form of government bonds or real estate in Malta. This permit is valid for two years and can later be renewed. The program does not automatically make the applicant eligible for citizenship but he or she may apply for permanent resident status after 5 years. To apply for the golden visa program in Greece, the applicant must invest at least EUR 250,000 in real estate or a new business in Greece. 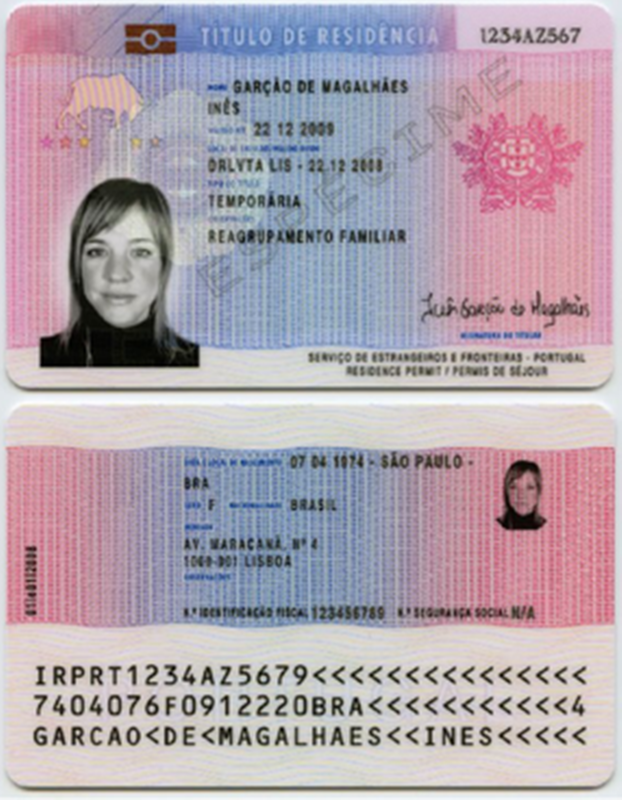 This visa is valid for five years and can be renewed periodically. There are no minimum residency requirements to maintain this visa. After 7 years, citizenship may be granted. Investing a minimum of EUR 500,000 in Spain as bonds, company shares of real estate makes an individual eligible for the Spanish golden visa program. The individual will first be given a temporary resident permit. This is valid for two years and can be renewed periodically. After 5 years, the applicant can apply for permanent residency status and after 10 years, he or she may apply for citizenship. To apply for permanent residency through the golden visa program in Ireland the applicant must invest a minimum of EUR 500,000 in the form of company shares or EUR 1,000,000 in the form of government bonds, a donation or real estate. This visa will be valid for 2 years after which it can be renewed for 3 years. The applicant must visit Ireland at least once a year to maintain this visa. After 5 years, the applicant may apply for citizenship. Cyprus offers a golden visa program for permanent residency and another for citizenship. A minimum investment in the form of real estate of EUR 300,000 and EUR 2,000,000 is required for the residency program and the citizenship program respectively. To maintain the residency visa, the applicant and his family must visit Cyprus at least once every two years. By investing 2 million Euros in Cyprus the applicant can get citizenship in 6 months. If the investor is not in a hurry, he or she may invest EUR 500,000 and get citizenship in 3 years. To be eligible for residency through the golden visa program in the Netherlands, the applicant must invest a minimum of 1.25 million euros. This could be in the form of a new company, venture capital fund or a joint venture. This visa is valid for one year and can be extended without the applicant having to actually live in the Netherlands. However, he or she must visit the Netherlands at least once a year. If the applicant lives in the Netherlands for 5 years, he or she may apply for permanent residency. In 6 years, he or she will qualify for citizenship. Switzerland offers residency to immigrants under the golden visa program in exchange for an investment of CHF 1,000,000 in a new Swiss company. The visa is initially valid for 2 years and can be periodically renewed. To get permanent residency, the individual needs to live in Switzerland for 10 years. An individual and his or her family can get permanent resident status in Hungary by investing EUR 300,000 in the form of government bonds. This investment may be refunded after 5 years. After living in Hungary for 8 years with permanent resident status, the applicant may become a citizen by naturalization. Making an investment of EUR 512,000 in Bulgarian government bonds for five years can make an individual eligible for residency through the golden visa program. At the end of five years, the investment will be returned without any additional interest. Alternatively, the individual can also make a non-refundable investment of EUR 195,000. The applicant does not need to stay in Bulgaria to apply for this visa but will need to visit Bulgaria twice. Permanent residency in Bulgaria does not allow the individual to travel to the Schengen countries without a visa. To apply for residency in Monaco under the golden visa program, the applicant must make an investment of EUR 1 million in the form of either real estate or capital or invest EUR 500,000 in a new business that will create at least 5 full-time jobs. This is temporary residency and can be renewed periodically. At the end of 5 years, it may be converted to permanent residency. After 10 years, it can be converted to citizenship. To qualify for the golden visa program in Andorra, the applicant must invest a minimum of EUR 400,000 in the form of real estate. This visa allows the individual to live in Andorra but does not permit him or her to work here. Permanent residency status can be applied for after ten years and citizenship can be applied for after living in Andorra for 20 years. To apply for residency through investment in France, the individual must invest a minimum of EUR 10 million in any new French business. In addition, the company being invested in must create or preserve 50 jobs for French nationals. This will give the applicant and his or her family residency status for three years that can later be converted to citizenship. There are three investment routes for the golden visa program in Turkey. The applicant may choose to invest $1 million in real estate $2 million in a new business or $3million in government bonds. This gives the applicant permanent residency that may be converted into citizenship after 3 years. Investing EUR 500,000 in real estate or a new business makes an individual eligible for the golden visa program in Montenegro. This gives the applicant residency status in Montenegro that can later be converted to citizenship. US Immigration Through Investment – Can Investment Helps Get A Green Card? The TN Visa: Who Is Eligible And What do You Need?